AAACEUs offers continuing education for certified addiction counselors throughout the country. We offer many substance use and addiction courses approved by the National Association for Addiction Counselors (NAADAC). NAADAC represents the interests of more than 100,000 addiction counselors, educators, and other addiction-focused counselors in the United States, Canada and abroad. NAADAC's members are addiction counselors, substance use counselors, educators, and other addiction-focused counselors specializing in addiction prevention, treatment, recovery, support, and education. An important part of the healthcare continuum, NAADAC members and its 47 state and international affiliates work to create healthier individuals, families and communities through prevention, intervention, quality treatment and recovery support. Bundled course options are an affordable and convenient choice to renew your addiction counselor certification. Courses are available in 60 Hour, 50 Hour, 40 Hour, and 20 Hour options, which are pre-selected and added to your account upon purchase. The courses in each bundle are focused on addictions, substance use, and alcoholism and cover a wide range of topics and vary in length from 2 to 14 hours for each course. 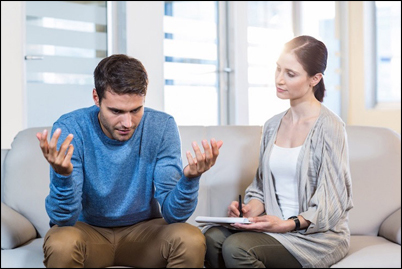 All addiction counselor course bundles have courses focused on addictions, alcoholism, opioids, substance use, and more. Bundles are the most affordable option, reducing the cost to less than $4 per credit hour. Once purchased, all courses are loaded into your account and will remain available for 18 months. Please click on the links below to learn about the bundled courses available for addiction counselors renewing their certifications. Please click on the links below to learn about the bundled courses available for Addiction Counselor certification renewal. Another option for certified addiction counselors is to get their continuing education through an unlimited CEU subscription. Subscriptions give you unlimited access to over 50 courses, totaling over 400 hours. Included in these subscriptions are every course (37 and counting) we offer for addiction counselors. This is a great option for addiction counselors who hold multiple certifications. To learn more about our subscriptions for addiction counselors, click on the links below.